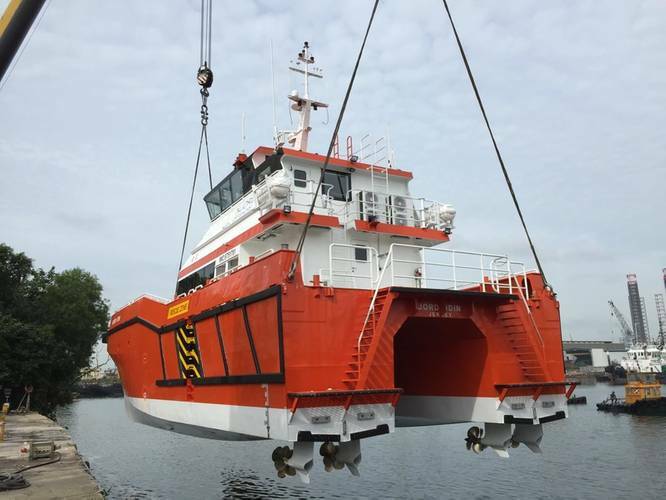 After a year operating four new 26m crew transfer vessels (CTVs) fitted with Volvo Penta’s IPS900 Quad drives, Njord Offshore – which transports crew to and from offshore wind farms – has added another two new 24 pax vessels with the same propulsion system to its fleet. The U.K. company now has 15 CTVs of 21m and 26m in its fleet, and one of its latest vessels will be available for demonstration sea trials at Seawork International trade show in Southampton. The 26m CTV catamarans have been designed by UK-based naval architect BMT Nigel Gee and built by Singapore-based Strategic Marine. They have two Volvo Penta IPS900 drives in each hull. The new CTVs have a capacity of 24 passengers and four crew, with a deadweight of 30 metric tons. 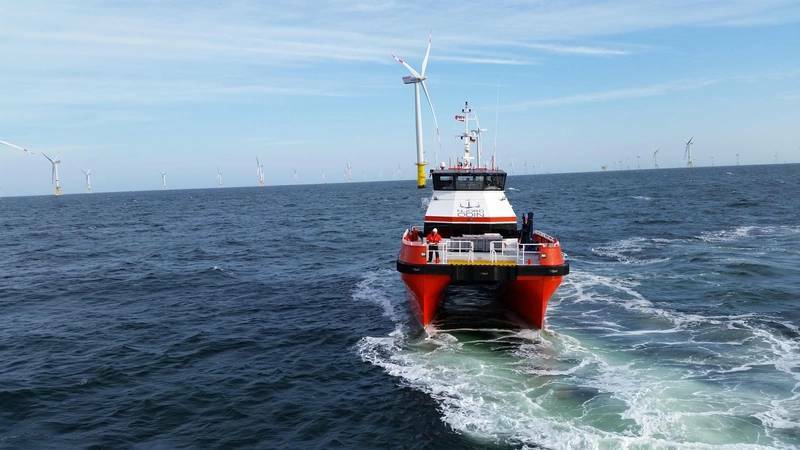 Andrew Thwaites, technical director of Njord Offshore, said, “It’s a specialist challenge, getting crew to and from wind farms in rough seas. These new boats can be at sea around the clock and the crew live on board 24/7, so they are equipped with all modern conveniences. It’s exciting for us to be demonstrating them at Seawork.